These new dining chairs with arms would add minimalist charm to any space. 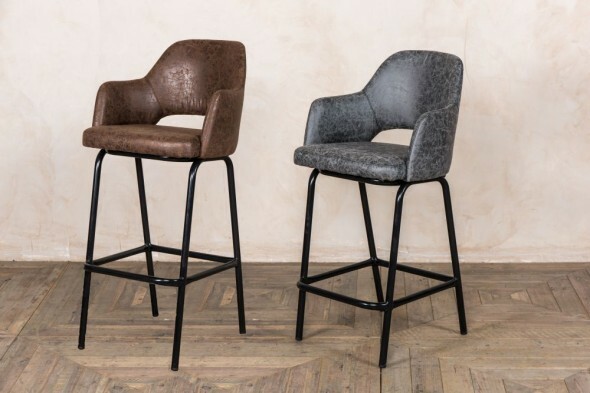 The ‘Lincoln’ dining chair is available in two colours; brown or grey, and it is upholstered in a high-quality faux suede. 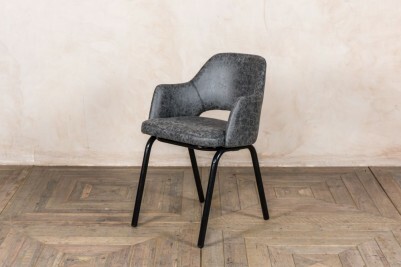 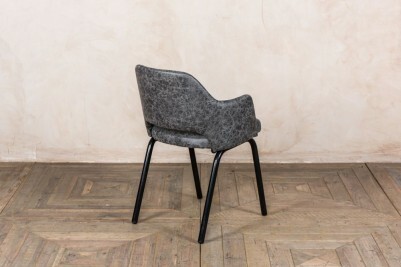 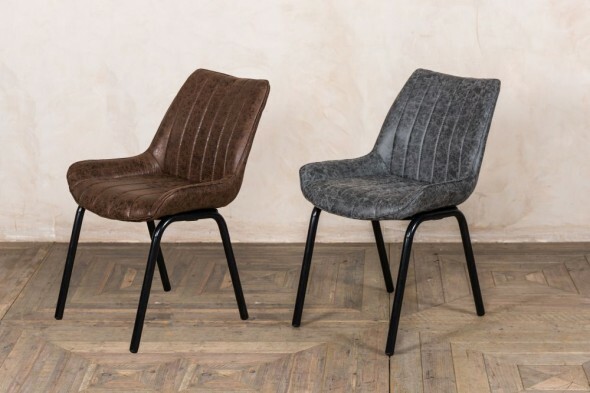 Each chair has a curved seat with armrests and a cut-out section to the rear, giving it a slightly retro appearance. 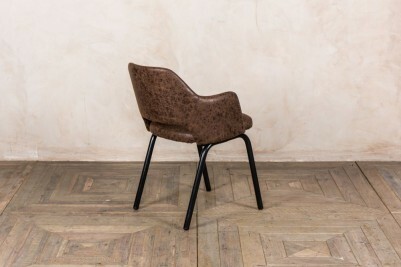 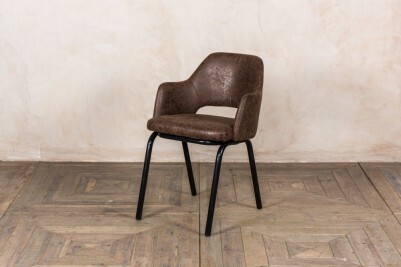 The material is distressed, which adds to the appeal of these retro style chairs. 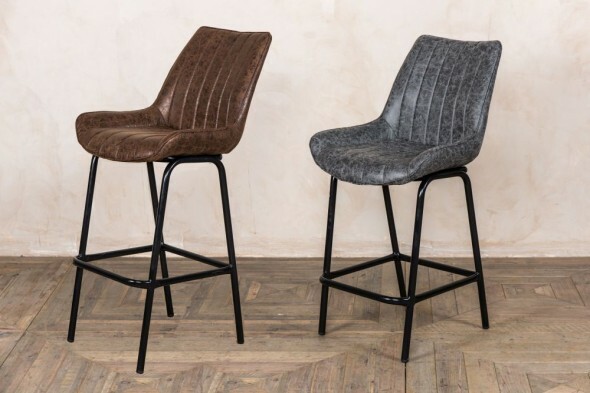 We also stock matching ‘Lincoln’ bar stools. 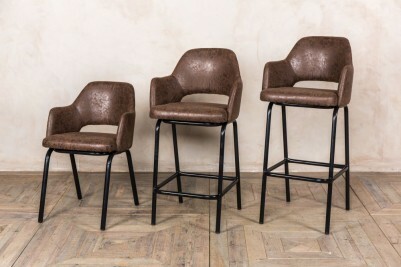 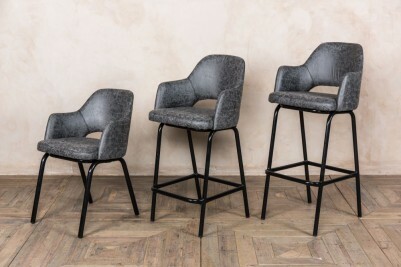 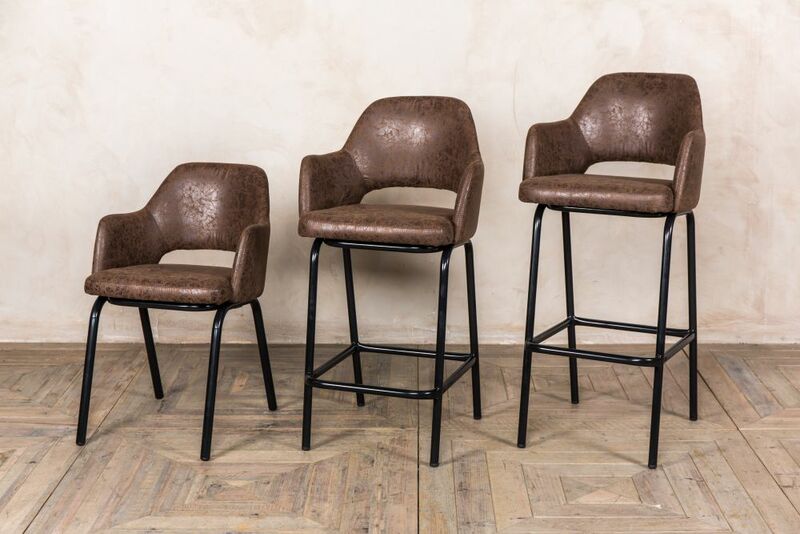 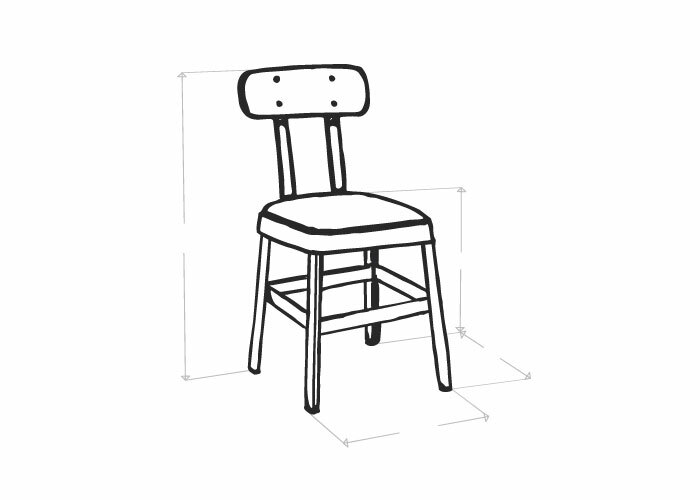 Why not coordinate your bar, restaurant or dining room with the chairs and stools?